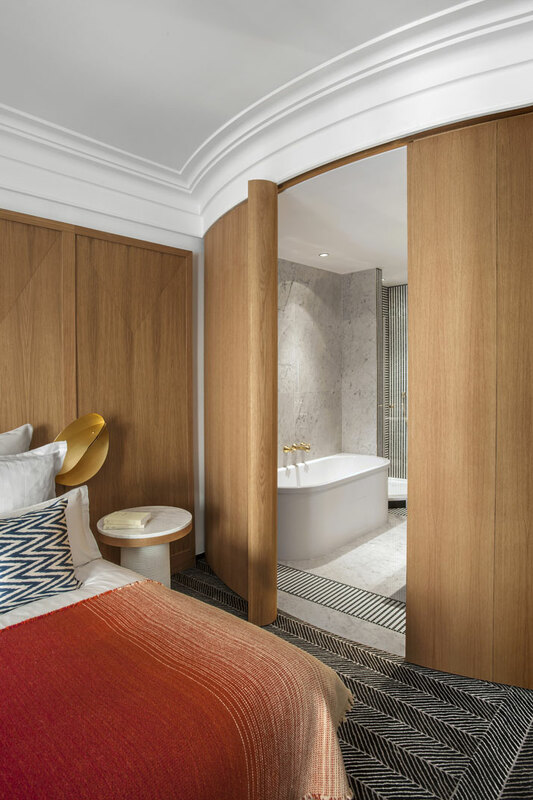 Much of the appearance of modern-day Paris, with its wide boulevards lined with cream-coloured apartment buildings, dates back to the 19th century and the decisions of one man: Georges-Eugène Haussmann. As the overseer of a grand-scale renovation of the city of Paris at the time, which included the demolition of densely-built neighbourhoods and the drawing of new, grand avenues across the city, Haussmann created an architectural style now characteristic of the French capital, and a symbol of the country’s prosperity during the Industrial Era. 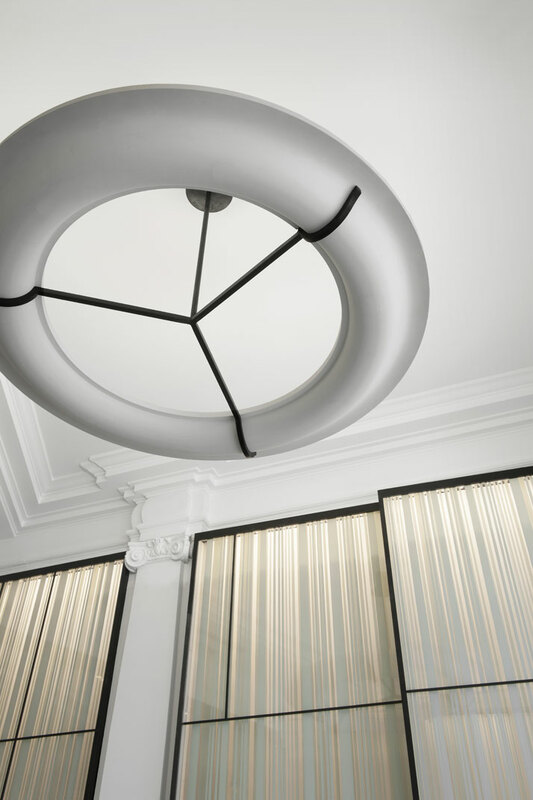 In a building that dates from that almost legendary era, situated between the Place de l’Etoile (Charles de Gaulle) and the prestigious Golden Triangle district, the historical Hôtel Vernet marks its 100-year anniversary with a completely refurbished interior that celebrates contemporary elegance and French craftsmanship. Floorlamp with watercolor paper lampshade designed by FrancÌ§ois Champsaur and made by Pouenat. Photo © Hôtel Vernet, Paris, Champs-Élysées. 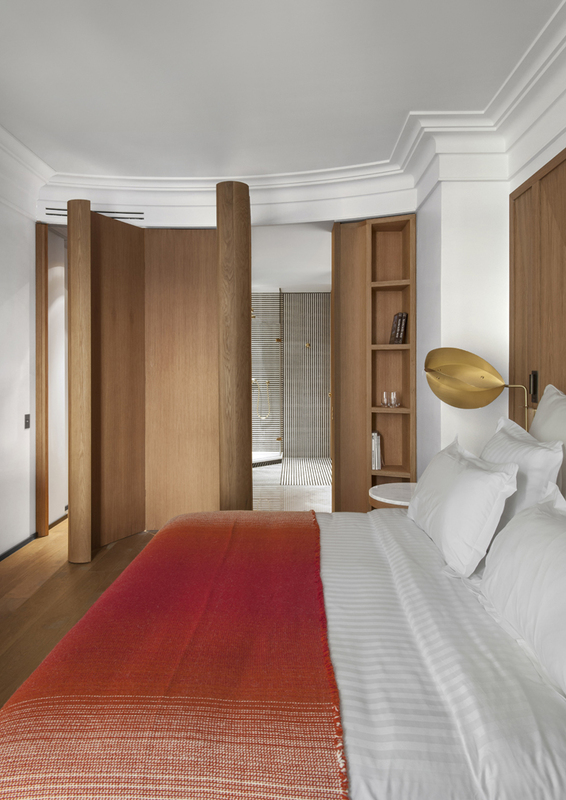 After recently coming under the ownership of Bessé Signature (a young, dynamic and enthusiastic family-owned hotel group based in France), Hôtel Vernet was given a complete make-over by renowned interior designer François Champsaur, a Marsellais who founded his studio in 1996 and has completed several luxury hotel renovations in France and abroad. 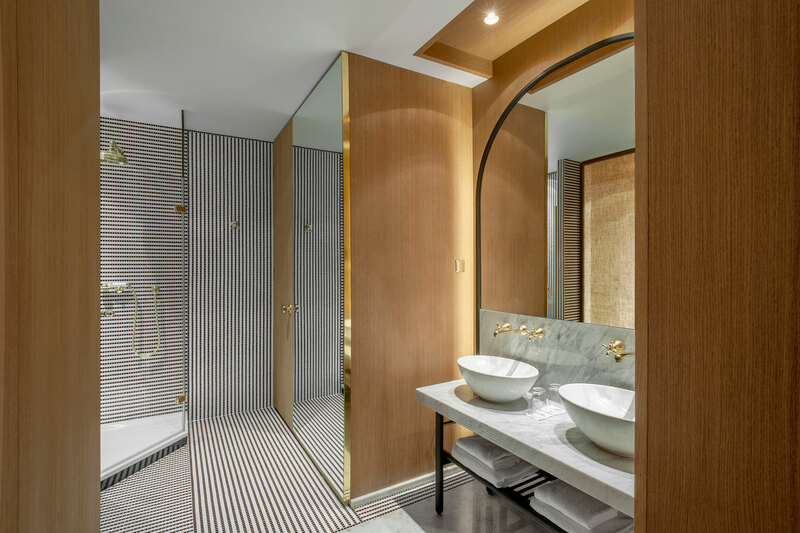 Champsaur has also built a reputation as an interior designer especially for art collectors’ houses, and his work for Hôtel Vernet reflects that experience: the interiors of the hotel are almost akin to an actual collector’s home, as contemporary art and design take centre-stage. 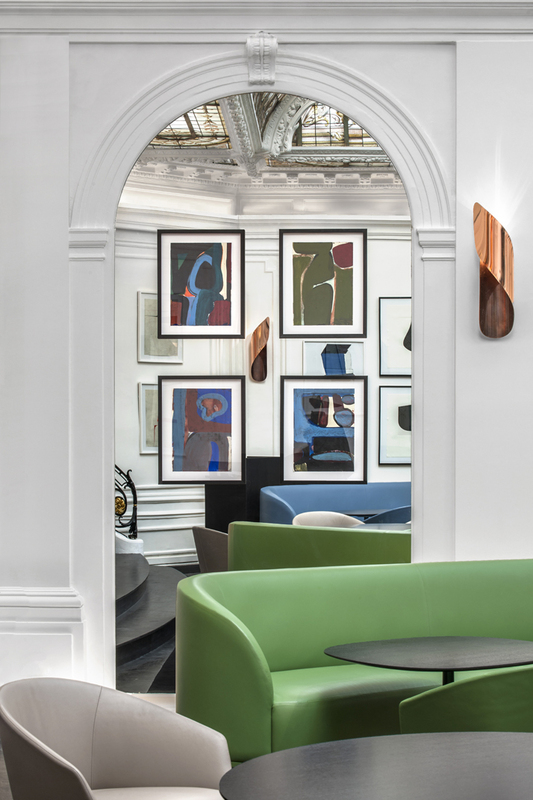 A carefully curated selection of artworks, furniture, textures and materials are combined in balanced spatial compositions, creating stunning vignettes in every area of the hotel, including the rooms upstairs. Armchair made by PHSB and bracket lamp in folded copper designed by François Champsaur and made by Pouenat. Photo © Hôtel Vernet, Paris, Champs-Élysées. 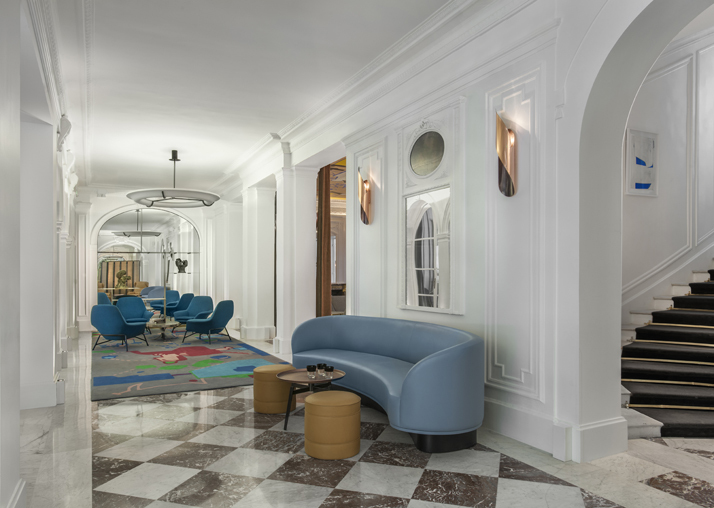 The BAR // Armchairs: made by Larforma. 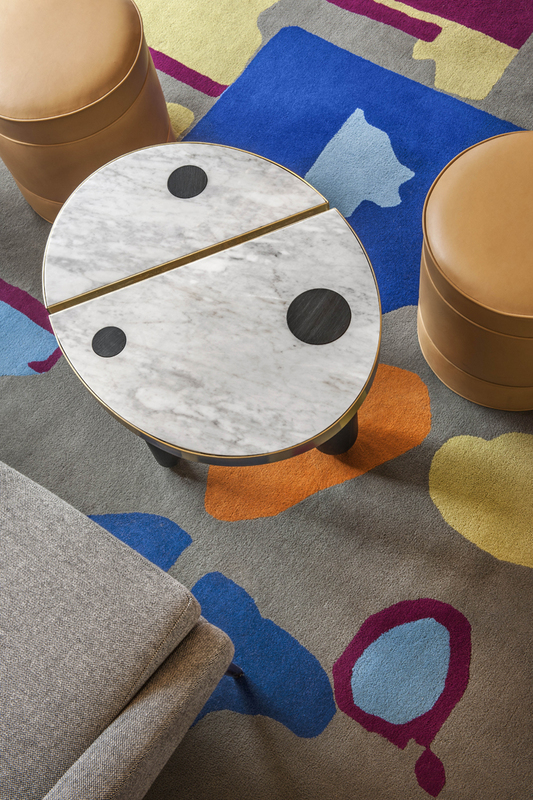 Coffee tables designed by François Champsaur and made by Viriato. Tabouret/pouf designed by François Champsaur and made by l’Atelier Delaroux. Carpet designed by Jean-Michel Alberola. 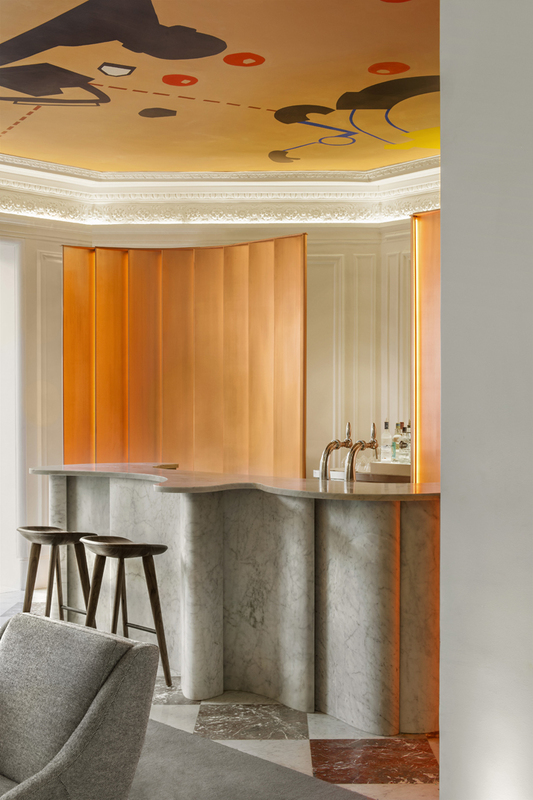 Deconstructed bar in Carrare marble, designed by François Champsaur and made by EDM Ceiling: fresco by Jean-Michel Alberola. Armchairs in tan leather: designed by Scott Fellows, Craig Bassam and made by Bassam Fellows. 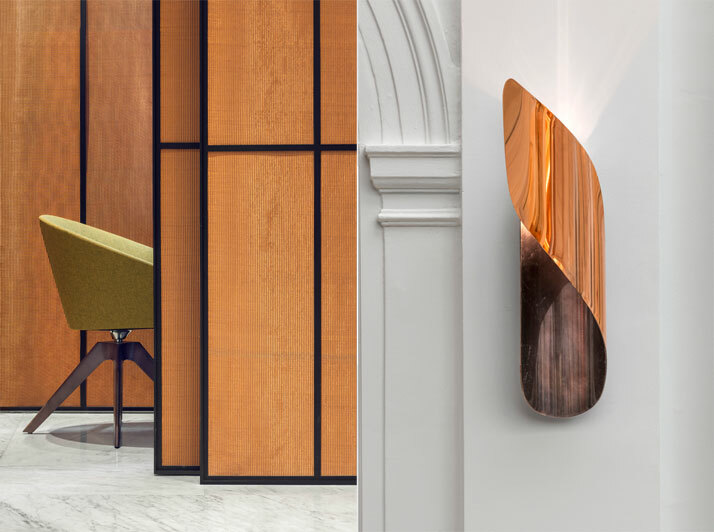 Screen in folded copper designed by François Champsaur and made by Pouenat Bracket lamp in folded copper designed by François Champsaur and made by Pouenat. Photo © Hôtel Vernet, Paris, Champs-Élysées. 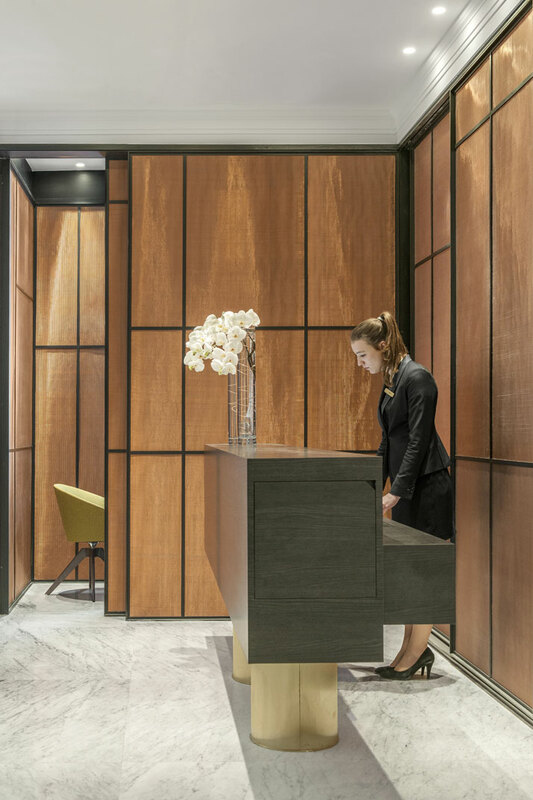 Reception desk in black oak resting on two brass pedestals, designed by François Champsaur and made by Gendre. Screen in brass mesh designed by François Champsaur and made by Gendre. Armchairs made by PHS. Photo © Hôtel Vernet, Paris, Champs-Élysées. 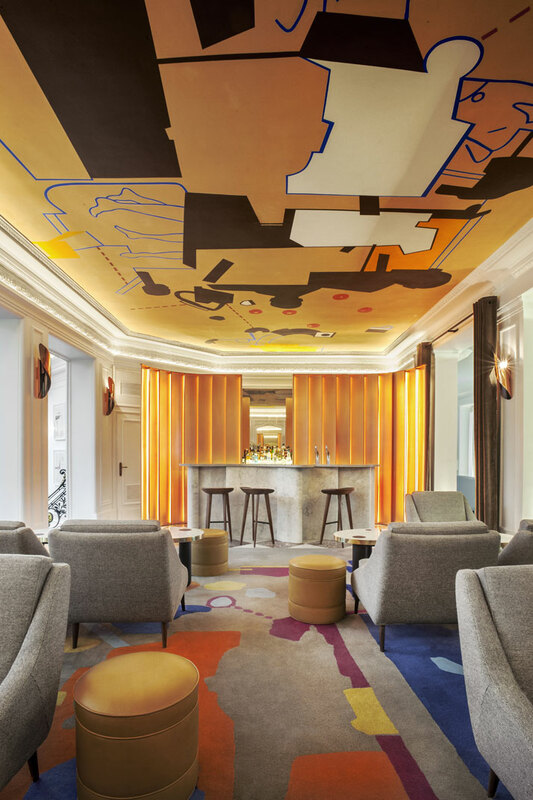 Eager to showcase French artistry and craftsmanship throughout, François Champsaur commissioned French visual artist Jean-Michel Alberola to paint a fresco on the bar’s ceiling; interestingly, the same artist has designed the bar’s carpet, where the art above seems to ‘reflect’ the design below. 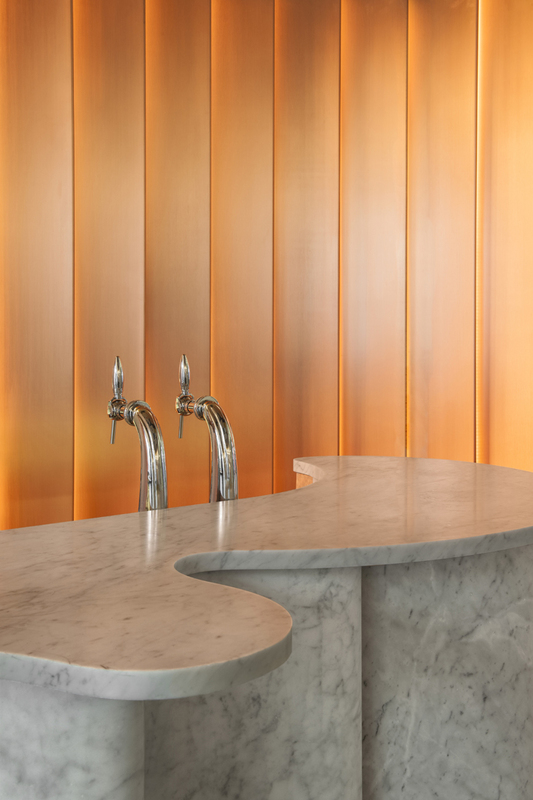 Other ‘artistic’ touches include the Carrara-marble ‘Deconstructed Bar’ (the curvy bar counter designed by Champsaur, which is placed in front of a stunning folded copper screen made by Pouenat), as well as the way the room numbers resemble artworks in the corridors, placed on individual pedestals, lit from above. 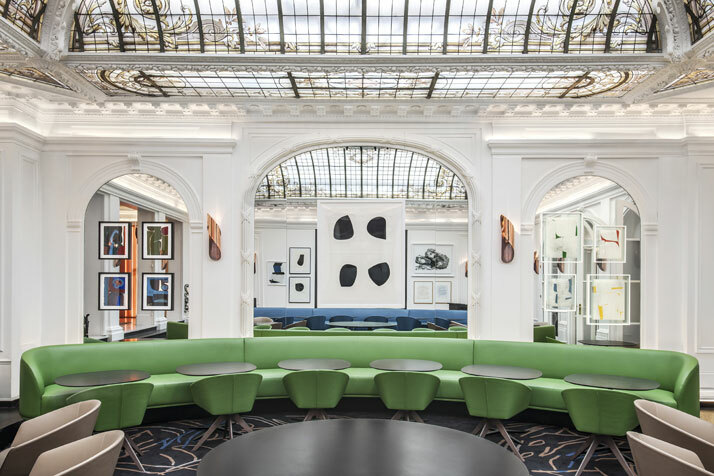 However, Champsaur’s vision for bringing together art and design is nowhere more visible than the hotel’s restaurant, where a minimalist assortment of dining furniture and contemporary art sits beneath a monumental stained glass dome designed by none other than Gustave Eiffel, the mastermind behind Paris’ iconic tower. 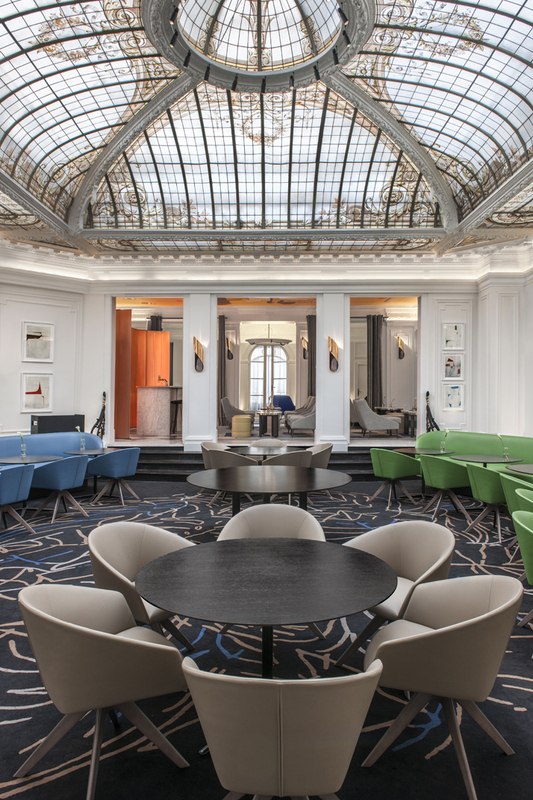 If not for the hotel’s new bright interiors and luxurious amenities, it may well be worth visiting Hôtel Vernet merely for the pleasure of enjoying some fine French cuisine under the breathtaking dome! 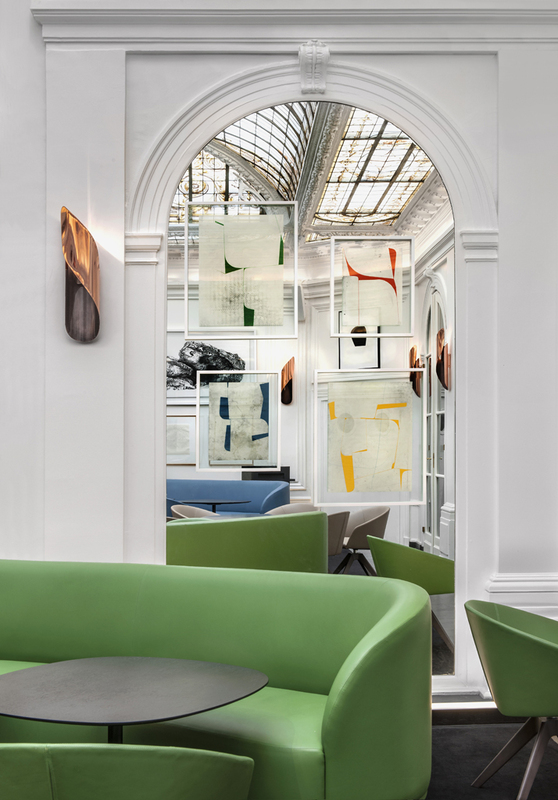 The Restaurant // Benches designed by François Champsaur and made by l’Atelier Philippe Coudray Tables: designed by Lievore, Alther, Molina and made by PHS. Chairs: designed by Lievore, Alther, Molina and made by PHS. Drawings and prints by Katrin Bremermann Print by Gérard Traquandi. Ink drawings by Alain Deswarte. Paintings and gouaches by Jean-Pierre Bourquin. Photo © Hôtel Vernet, Paris, Champs-Élysées. 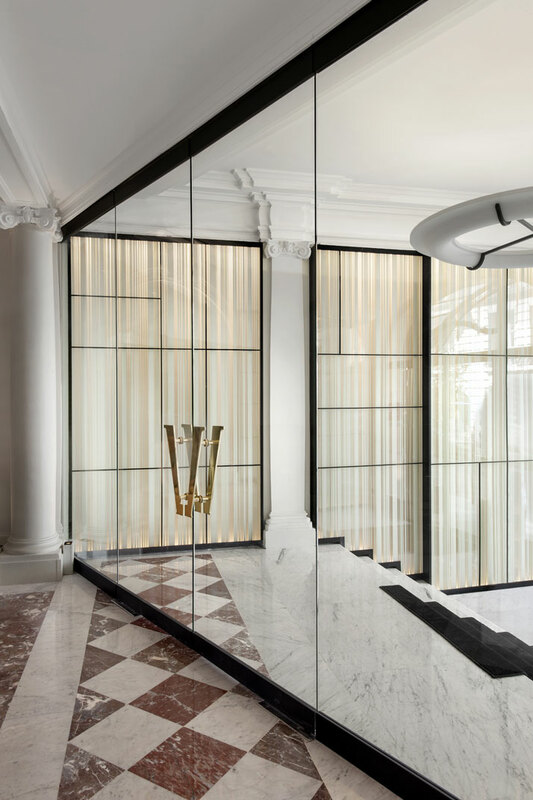 The entrance hall // Carrare marble floor. 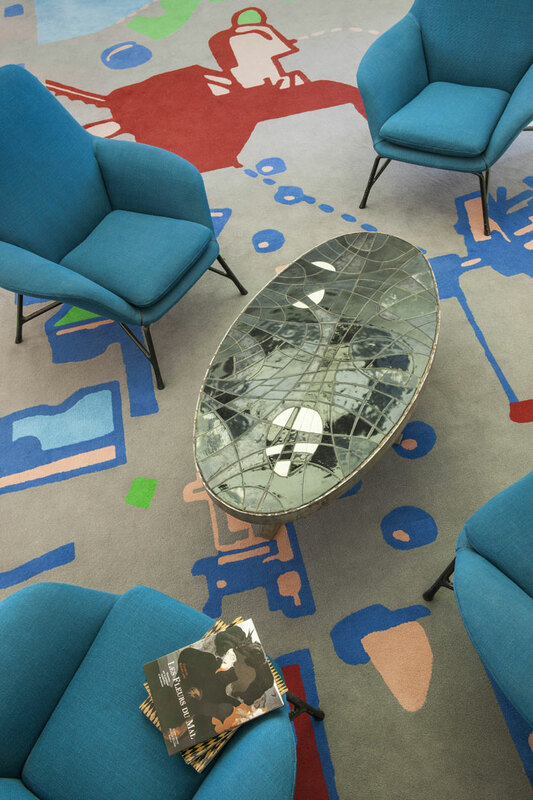 Abstract carpet: designed by Jean-Michel Alberola. 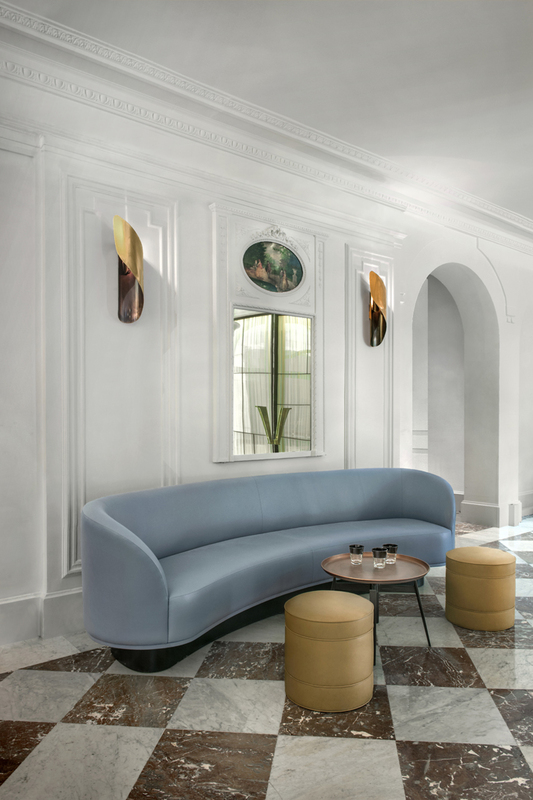 Blue armchairs: designed by Rodolfo Dordoni and made by Minotti Blue leather bench: designed by FrancÌ§ois Champsaur. Ceramic coffee table, French-made circa 1950. Photo © Hôtel Vernet, Paris, Champs-Élysées. 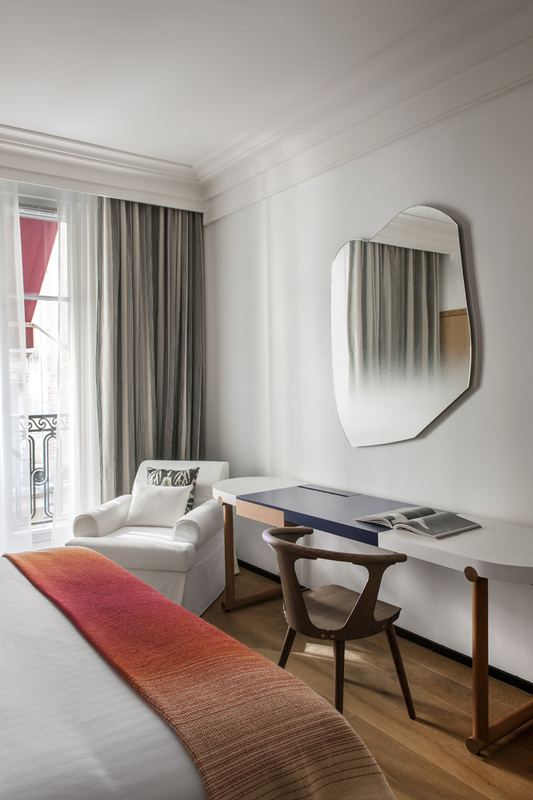 Desk in white lacquer integrating a blue writing desk designed by FrancÌ§ois Champsaur and made by Viriato. 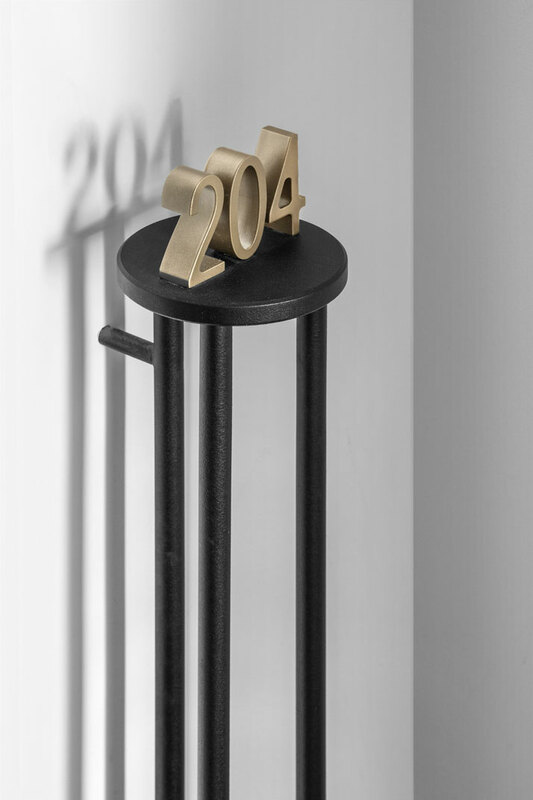 Chair: designed by Sami Kallio and made by &tradition. Armchair designed by François Champsaur. Photo © Hôtel Vernet, Paris, Champs-Élysées. photo © Hôtel Vernet – Paris Champs Elyséesâ¨. Bedside table designed by FrancÌ§ois Champsaur. 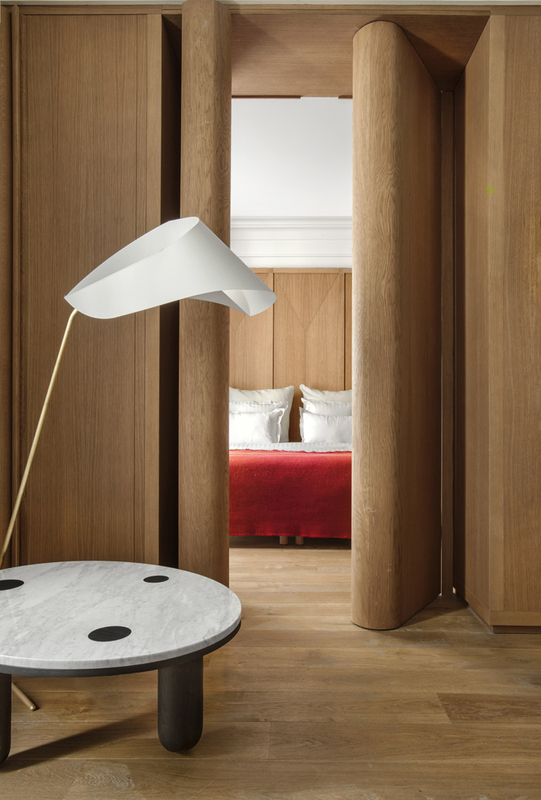 Bedside lights made with brass sheets designed by FrancÌ§ois Champsaur and made by Pouenat. 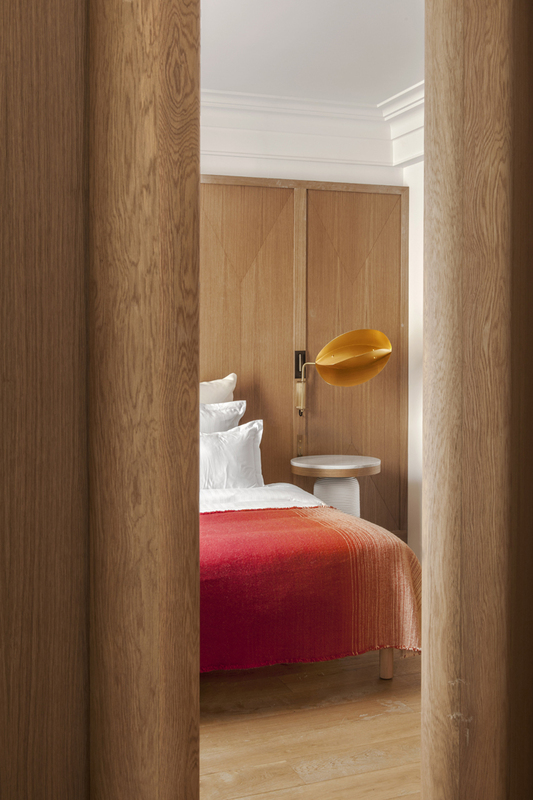 Headboard designed by François Champsaur. Photo © Hôtel Vernet, Paris, Champs-Élysées. 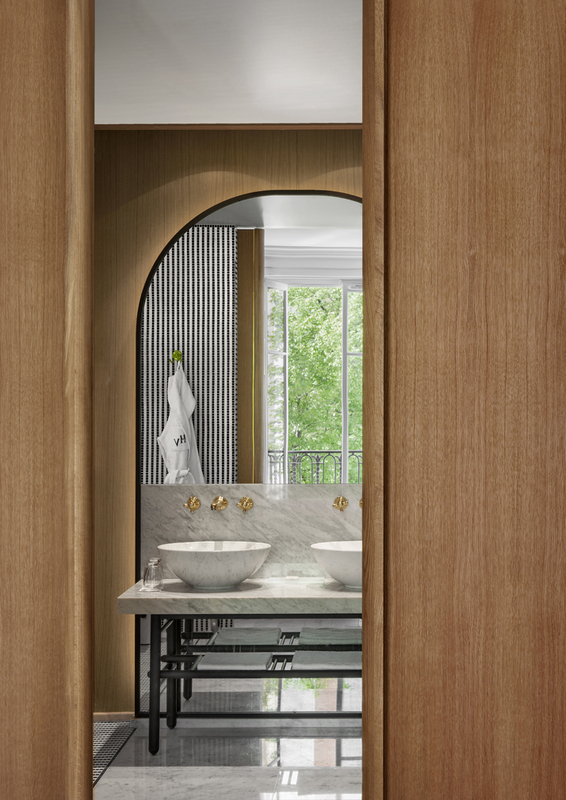 Faucets in crude solid brass by Stella Roma. Photo © Hôtel Vernet, Paris, Champs-Élysées.